U.S. 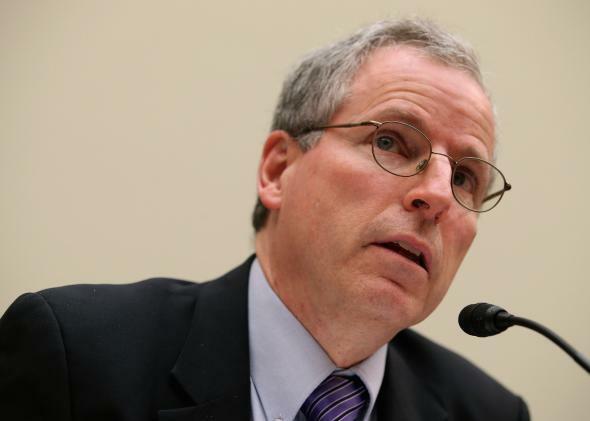 Ambassador to Syria Robert Ford testifies about the ongoing war in Syria before the House Foreign Affairs Committee on March 20, 2013. I’m not entirely convinced that robust support for the opposition could have turned the tide once Assad made it abundantly clear he had no plans to leave Damascus alive and was willing to see thousands of his people killed or displaced to keep power, but it’s true that it’s hard to point to any particular U.S. policy success in Syria. For a while, there was a coldhearted realpolitik case to be made – explained here by Dan Drezner – that the U.S. Syria strategy made grand strategic sense. Yes, there was an escalating and horrifying humanitarian catastrophe, but the U.S. commitment to the conflict has been minimal while Iran and Hezbollah on one side, and al-Qaida linked extremists on the other, have been pouring serious blood and treasure into fighting each other. It will be interesting to see how Ford is received in Washington if he becomes a consistent critic of administration policy. In 2010, Senate Republicans held up his confirmation as ambassador for months, questioning whether there should be a U.S. envoy to Syria at all. Ford was the first one to hold the job since the U.S. withdrew its ambassador in 2005 following the assassination of Lebanese Prime Minister Rafik Hariri. Obama eventually used a recess appointment to finally give him a job. During his tenure as ambassador, Ford was an outspoken supporter of the Syrian opposition, often at great personal risk. As he became more openly critical of the Assad government, he eventually won over Capitol Hill.